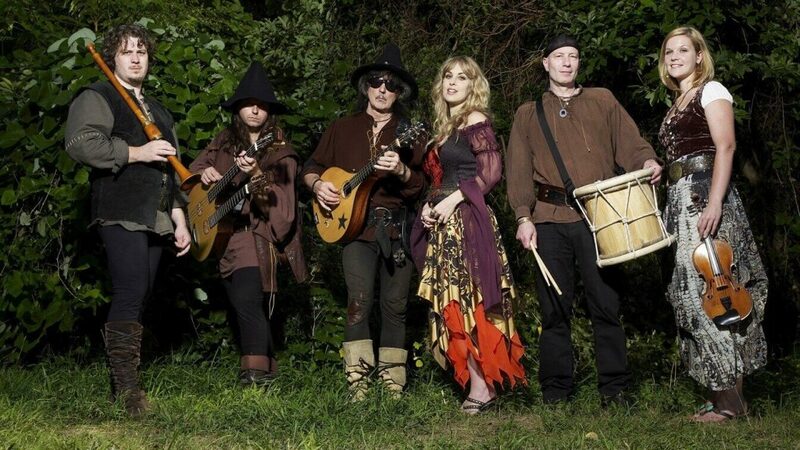 For more than two decades medieval folk rock duo Blackmore’s Night has been performing its unique blend of rock meets medieval folk on authentic period instruments. 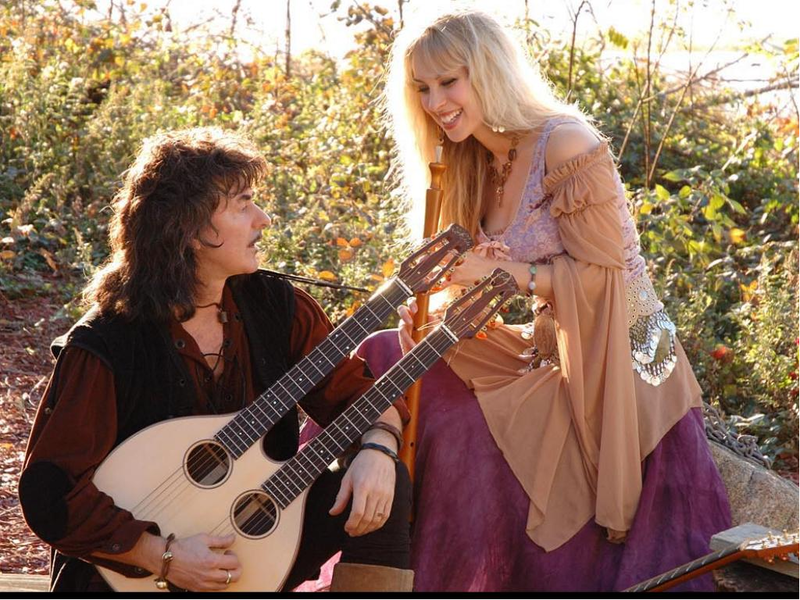 The band is led by husband and wife duo Ritchie Blackmore (formerly of Deep Purple and Rainbow), who plays guitar and an assortment of medieval stringed instruments and lead vocalist Candice Night, who also performs woodwind instruments. Ahead of the band’s upcoming performance at the Academy of Music in Northampton on July 21 at 7 p.m., Valley Advocate staff writer Chris Goudreau spoke with Night about playing music as a married couple, the band’s medieval influence, and 20 years of performing their music across the world. Chris Goudreau: First off I want to ask you about your new album, To The Moon and Back. What are your thoughts on the band’s 20th anniversary. Candice Night: I can’t believe that it’s been 20 years. This year is the 21st year. Within that album, it was the compilation of the past 20 years of music. What we did was for the first CD, we went to social media and we polled the fans because the fans are the most important thing when we go on tour. They give us so much incredible energy. They write us letters or emails … Their stories of how the songs have impacted their lives have just been incredible. It’s really just been a gift listening to how our songs have made such a difference and a change in their life, whether our songs have been in a positive way – benchmarking moments have been meeting their boyfriend or girlfriend, husband or wife, at our shows, or them walking down the aisle to our song or even getting over divorces or deaths or doctors playing our music in the birthing room. Everybody has their own individual experience with our music. We asked everybody on Facebook and Twitter and Instagram and we made a spreadsheet as to which were the most requested songs and we put them together as a compilation for the very first CD for our 20 years of songs. Chris: Out of the songs in the collection, are there any ones that you really enjoy performing live? Candice: Oh my god, yeah! Well, first of all our set list changes every night. People even take their vacation time around our tours and many people will travel around the world … and we basically see the same faces in the front row, which to us is kind of strange. Is there anybody else? [laughs]. We just saw these people for the last five or 10 shows. 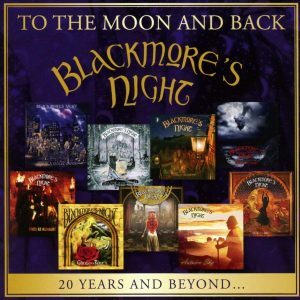 The thing is when you go to see a bunch of Blackmore’s Night shows, you see whole different shows. My husband Ritchie, he’s basically on the guitars and all the stringed instruments basically. He plays the hurdy gurdy, the mandola, mandolin, acoustic, electric guitar. It’s his brain child. But the way he interprets them — he can’t play a song the same way twice. We always do it with different intros, solos, instrumentation; set lists. He changes it depending on his mood at the time; what the audience yells out if we’re taking requests or depending on maybe even the venue. Some venues call for more introspective songs where he can really open up on instrumentals and do more balladry things. Some venues want to be more parties, so we’ll do more upbeat tavern songs; wave your beer mug in the air kind of songs. Chris: One thing that I find incredibly fascinating about Blackmore’s Night is this merging of medieval and Renaissance instruments with rock music. What’s it like to play some of those instruments and to arrange things? Candice: Very challenging. Honestly, the instrumentation is still teaching us. So, whenever somebody asks us about a direction we’re going in with Blackmore’s Night, I feel like the music is taking us on a direction. We’re not steering the ship; we’re just trying to be as open as we can and channel the music … I’m kind of in charge of the double reed woodwind instruments. So, usually when someone asks me what instruments I play and you don’t say something that’s sold in Guitar Center, they just glaze over because they don’t know what you’re talking about, so if I say shawm, rauschpfeife, or cornamuse. When we play the songs from hundreds of years ago we add new arrangements and lyric content and we can even add electric guitars and keyboards and a lot of the modern elements. In order to keep the authenticity, the respect to the song in its original form, it’s important to us to also add some of the double reed instruments or the hurdy gurdy or the instruments that have come from hundreds of years ago. Chris: What do you enjoy about playing music together? Candice: I absolutely love it because you look over at the other person who you’re married to or who is your other half basically. They share so much in your life that I think that when you go off to work and come back, although you can talk about the day and be there for each other, there’s just something so deeply intimate and emotional when you share a journey like music. Music is such a cathartic thing. It purges your soul. It’s creation. When you’re doing it on your own or in a band, it’s one thing to share it with bandmate and that automatically leads you to a deeper level.